So I got this idea when I was making the photo coasters with the ceramic tiles. I wanted to do Disney themed coasters, and I thought cork would be fun. I have to admit after I ordered these coasters off Amazon, I remembered I had a roll of cork left over from another project. I could have cut the cork out using my Cricut and my deep cut blade and housing I had just ordered from Amazon. I’ll have to try that the next time around. I created a short video showing how I created Mickey and Minnie icons using shapes from Design Space. I set my Cricut EasyPress to 340 degrees for 15 seconds. When layering vinyl I use parchment paper to protect the vinyl. This is a more economical (I’m cheap) choice than the teflon sheets. So far I haven’t had any problems with the parchment paper and I resuse the same piece several times. I am happy with the final product. I forgot to show how I made the red border in my video. I just inserted a 3.5″ circle then inserted a slightly smaller one over it and sliced the circle, leaving just the thin ring. After applying the vinyl, I sprayed the coasters with a layer of acrylic sealer to protect the vinly. They are almost too cute to use! This inspired me to make a custom cork board for my classroom. 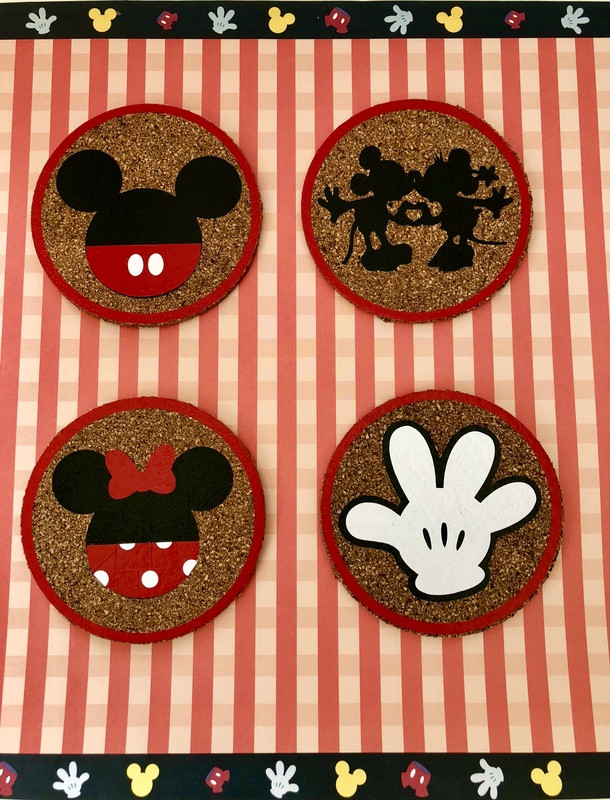 I want to incorporate Disney into my classroom decorations, but since I teach middle school I am trying to come up with a little more sophisticated Disney touches. 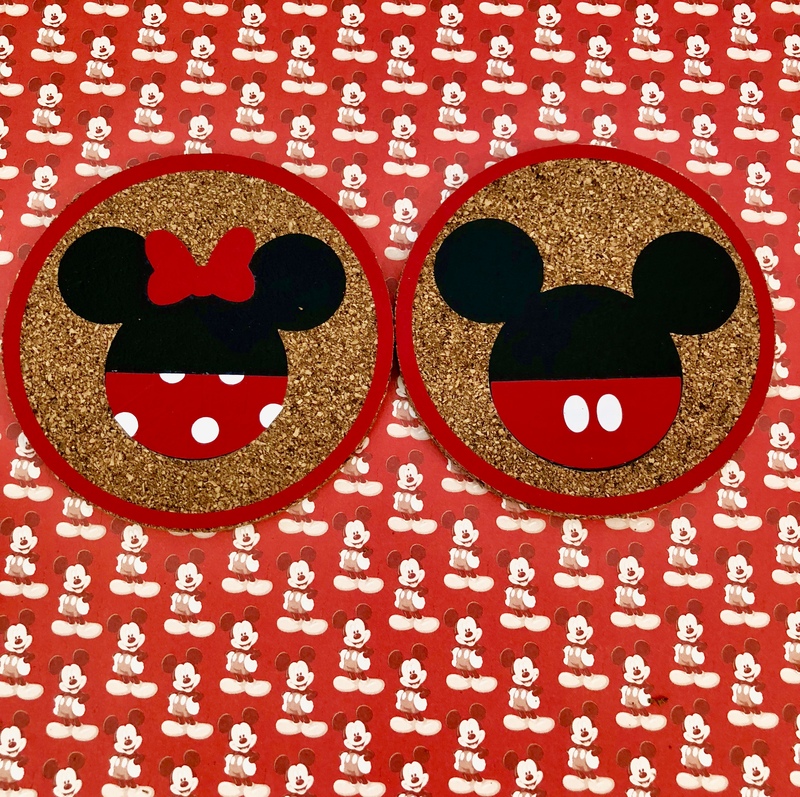 I think a classic Mickey and Minnie corkboard may be the way to go. The Pin for this post has been getting more views lately, so I decided to share the link for the Cricut Design Space design for anyone that has a Cricut. Enjoy.